There are many different types of EHR pricing structure, and working out which one is best for your healthcare practice can be problematic. You can be faced with choosing a system that is supposedly free or one that costs tens of thousands of dollars. Fee structures can be complex. You may find per-transaction fees, per-user fees, general licensing fees, fees based on revenue or fixed fees. The latter two options make it easier to factor the costs of an EHR system into your practice’s operating budget. It will help you to narrow down your choices by first identifying what you require from your system. You need to do this to be able to determine which systems are appropriate for your practice. While cost is an important criterion when choosing an EHR system, it cannot be the overriding consideration in making a choice. It is vital to purchase a system that will deliver all the functionality you need to manage your healthcare practice efficiently. 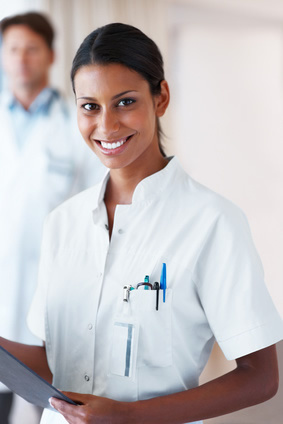 The primary purpose of an EHR system is to help improve the standard and quality of care in healthcare services. Research has shown that using EHR systems delivers many benefits, including an improved patient experience.1 Unfortunately, if a practice chooses the wrong EHR system, the opposite can occur. Most EHR system vendors will be happy to provide you with details of all the features their system offers. They may be less forthcoming in pointing out potential drawbacks in their systems. One of the most common complaints about EHR systems relates to unexpected fees. Healthcare providers sign up for an EHR system based on quoted fees, only to discover that they have to fork out more money each month to fully benefit from using the system. They may have to pay extra because they have exceeded a transaction limit, or to allow additional users to access the system. Another common additional charge is the application of clearinghouse fees for the billing function. When evaluating the suitability of any EHR pricing structure, prospective customers should try to discover what additional fees may be applicable. They should also keep in mind that certain additional fees may be payable if the practice takes on additional staff or patients. One of the best ways to avoid surprises is to opt for an EHR system such as Integrity Support’s Checkpoint. The fees payable for Checkpoint are based on revenue, and there are no limitations on the number of users, number of transactions or any other features. The system also includes clearinghouse fees. This is perhaps the ideal EHR pricing structure for practices of all sizes.